A mental health crisis can be extremely frightening and difficult for family and friends to understand. Our emergency services team of professionals are available 24 hours a day 7 days a week, at NO COST to you, to provide crisis assessment and intervention services for children and adults. Our team has access to a full continuum of crisis services including Emergency Psychiatric Services Treatment Resources. 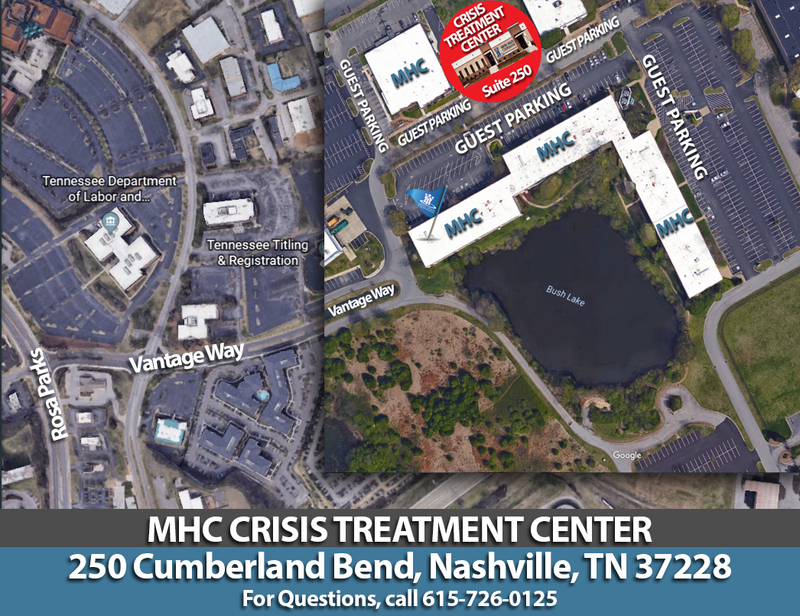 The 24-hour walk-in crisis center, located in Davidson County, offers immediate attention when you walk in. Our supportive team of mental health and trauma professionals are highly trained to help evaluate what your needs are and focus on resolving the crisis. The crisis center is staffed by triage counselors, crisis counselors and nurses. A 15 bed voluntary treatment unit designed to provide intensive crisis stabilization services. Mental health professionals, including a psychiatrist and/or nurse practitioner, nurses, counselors, and discharge planners will work with you to provide a comprehensive treatment plan to address your needs. An 8 bed voluntary program designed to provide psycho-social support to individuals in crisis. The Intensive Intervention Center is staffed with a counselor who will assist you in developing a treatment plan that connects you to appropriate community based resources.